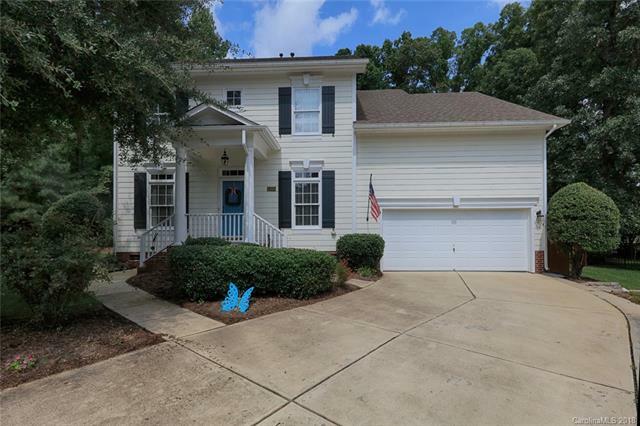 This beautiful home sits on one of the largest lots in the highly desirable Birkdale community, and is perfectly situated in a cul-de-sac with a view overlooking the golf course! As you enter the home you will see that the main level is open and bright, with natural light flooding in from the wall of windows at the rear, which offer a view of the expansive and private back yard. Kitchen has plentiful cabinets and counter space as well as seating at the bar and is open to the breakfast area and Family Room. Living Room offers an additional seating area or could be used as an office or flex space. As you enter the upper level you will be greeted by a spacious loft which serves as a multi-purpose area, and you’ll be wowed by the huge Master Bedroom with its equally stunning wall of windows and updated bathroom, making the Master a wonderful retreat. The outside offers the perfect space for entertaining with its fully fenced yard, paved patio, deck and golf course view. New HVAC 2016.